Flow nozzle is similar to the venturi meter. Its shape provides lesser resistance to flow, and it has a higher coefficient of discharge. Moreover, it has no divergent cone for pressure recovery. Figure shows a standard flow nozzle. Nozzle meter is bolted between flanges of pipe carrying the fluid. 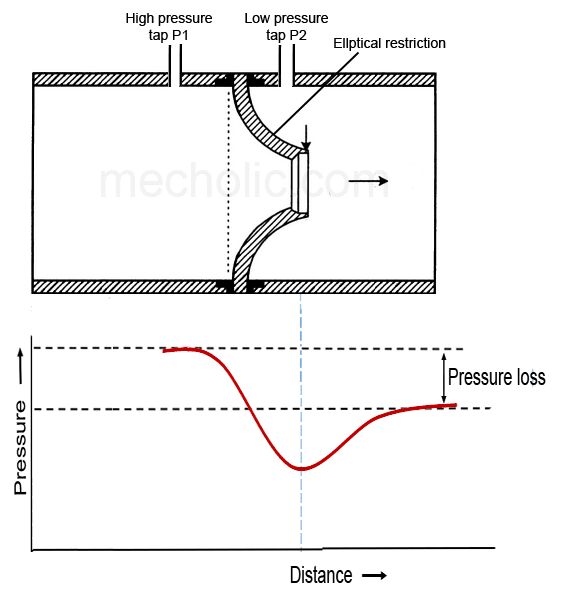 The pressures on upstream and downstream (P1and P2) are noted by using a differential pressure sensor for the calculation of flow rate. 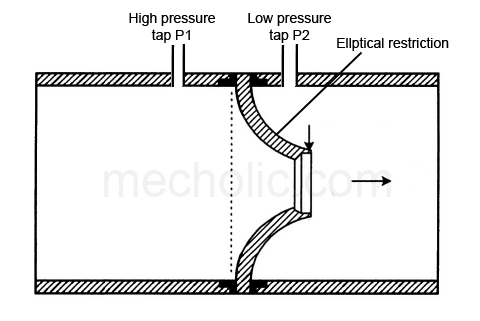 They can use for measurement of flow rate of fluid that has suspended solid particle. It can be used in high temperature and pressure fluid flow conditions. In high-velocity fluid flow, where turbulence is high and erosion may cause on other primary devices. Flow Nozzle is used when fluid is discharged to the open atmosphere. Compact - Low dimension as compared to venturi meter. Cheaper and easy to install as compared to venturi meter. High coefficient of discharge than the orifice meter. It has no divergent outlet and hence low pressure recovery. 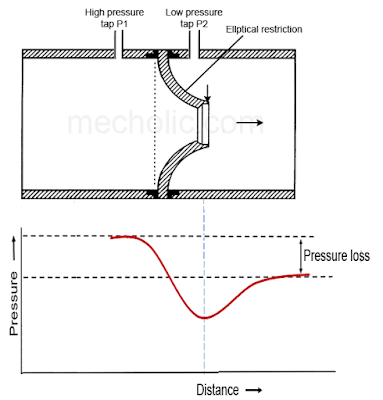 It cannot be used in a low-pressure head. It cannot use as a flow meter if the fluid has a high percentage of the solid particle.